The guiding principle of low-code development is that building solutions should be easy; anyone should be able to do it. Quickly and cheaply building and deploying high quality apps that actually work to complete specific business tasks and solve real problems in your organization means that pressure is taken off your software department, and everyday business users will be able to contribute to building, testing, and using these solutions, facilitating and reinforcing a company culture of problem solving. 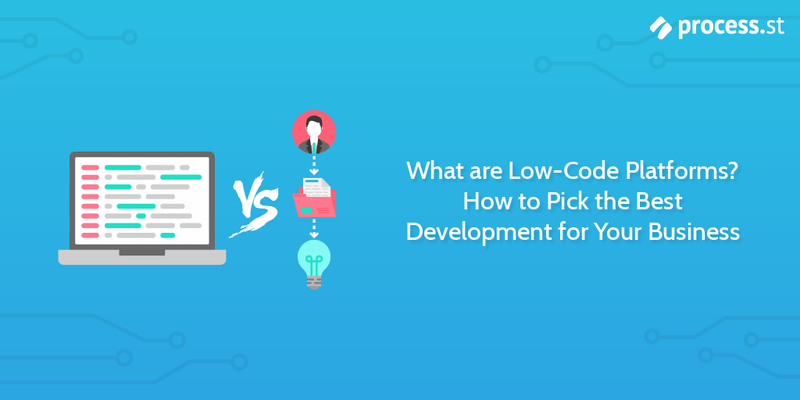 In this article, I’ll explain the basics of low-code development in simple terms, along with some tips for deciding what kind of low-code approach is the best fit for you. Finally, I’ll list some of the best low-code development platforms available for building business solutions, and wrap up with a few examples of how you can build integrated business systems using these low-code tools and methodologies. Simply put, low-code is a way to create applications focused on making the tools easy to learn and use, with minimal coding knowledge required. When you consider that most of the conventional software development cycle is re-implementation of existing frameworks and parts of an application that already exist in some form or another, the low-code philosophy essentially skips this “re-inventing the wheel” aspect of the development cycle and allows developers to focus on the important part: building the unique MVP. It’s quite similar to the innovations in car manufacturing, where most of what was once done manually by factory workers is now automated. Here low-code development platforms serve the same purpose as factory automations: these automations don’t decide what the car will look like – that’s still figured out by specialists as a separate part of the process – but it does remove a significant portion of work from the manufacturing (or development) cycle. Low-code development platforms eliminate the need to manually code essential elements of a product; in the same way that assembly lines eliminate the need to manually assemble parts of a car. This means that skilled workers are free to focus their effort on more important tasks. Low-code tools are essentially designed to reduce the amount of manual work that needs to be done. With that in mind, low-code platforms could be thought to be inclusive of no-code, because both serve the same purpose. The first approach is public facing; a tool to quickly build web or mobile apps. Squarespace is a good example of this. It utilizes a simple interface with drag-and-drop design, and it’s typically used for putting together pretty straightforward mobile-optimized websites. But, that’s not the only kind of tool — there’s also the idea of building your own business apps. Certain low-code platforms become tools to run your business, allowing you to implement principles such as workflow automation, build standard operating procedures, or achieve ISO compliance throughout your organization. So, these kinds of development platforms are all built with similar principles in mind: to make it quick and easy for anyone to design and deploy software solutions. This makes working with the software incredibly easy for anyone, and removes the need for a software specialist. Some platforms will have the option to work with code to build certain functions, but it’s not necessary. Processes and structures of information that you’re building should be clearly visualized inside of the development platform, removing the need for difficult abstract work done exclusively in hard code. Quality low-code development platforms will make it easy for you to build scalable enterprise solutions. This should be something built into the design of the platform and shouldn’t be something that you have to invest a considerable amount of time or effort into figuring out: it should just work. You shouldn’t have to build your product again if you want it to work on a different platform – the best low-code solutions will do the work for you and make it easy to ensure your product is working across as many different platforms as you need. The best low-code platforms will make your life easier once you’ve actually deployed the product. That means quickly and easily being able to edit, update, bug-fix, and push new features to live, without disrupting existing architecture. Where this would typically take weeks, low-code development enables you to do it in days, even hours. The potential for third-party integration that a development platform offers you can be a deal-breaker. Well-documented, off-the-shelf integration goes the extra mile and will mean your product is able to adapt to a continually changing landscape of software solutions. Integration can add so much value to even the simplest of tools, whether they’re public-facing products or internal business tools. 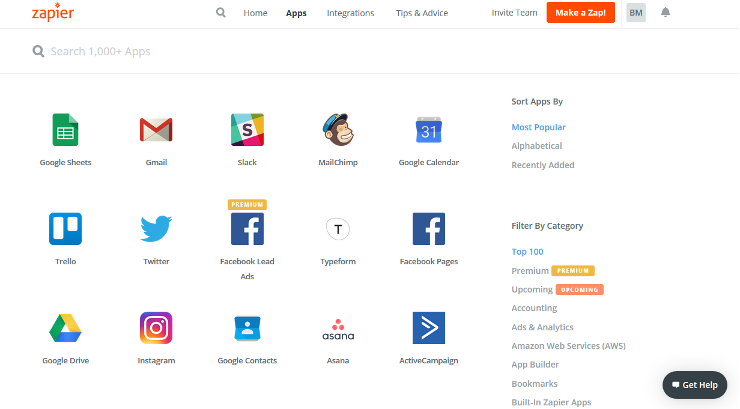 Zapier is a platform that allows anyone to quickly and easily set up integrations between thousands of different apps, meaning you can harness the power of automation for your business. While not a tool for app development per se, its enormous roster of integrations makes it one of the ultimate low-code tools for business solutions, allowing you to create complex systems that involve all of your commonly used tools and streamline your workflows. Best fit for: Pretty much all business owners. Standout feature: Huge integration potential. 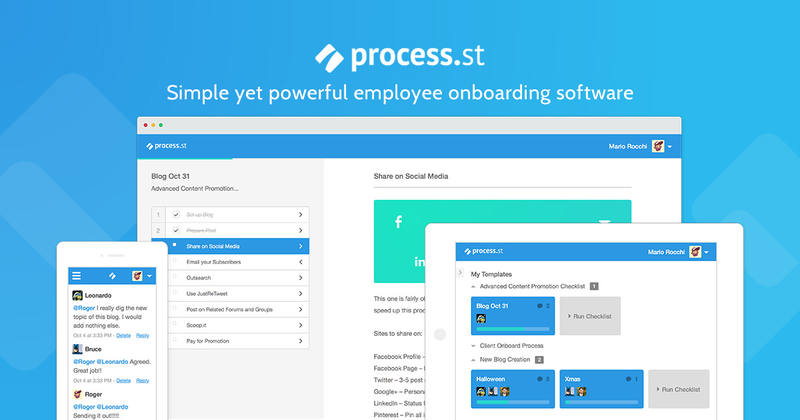 Process Street is a tool for quickly and easily managing your workflows and recurring processes. The simple interface for business process management allows you to create and run checklist templates for full control over your workflows, standard operating procedures (SOPs) and business solutions. You can track everything with the Inbox and Template Overview features, share and collaborate with your team on editing templates with form fields by assigning tasks, setting dynamic due dates, and using conditional logic. Process Street also integrates with over 1,000+ other apps, so you don’t have to worry about redundancy. It’s accurate to talk about Process Street as more of a “no-code” platform, because it’s designed to be as simple and easy for anyone to use as possible; it’s exactly what you’re looking for if you want a low-to-no code solution for building a system to run your business. This, in combination with the rich feature set means Process Street is a great choice for SMBs or startups looking to improve the efficiency and effectiveness of their business. What sets Process Street apart is the ease and simplicity with which it does everything; anyone can build their own apps, regardless of the complexity. Best fit for: SMBs or startups. Price: Free, with a range of different price plans available. Standout feature: Powerful, easy-to-use checklist templates with a rich feature set. Google App Maker is a relatively new contender, with a special focus on mobile app development. It does a select few things very well, but you may find the feature set somewhat lacking when compared with some of the other offerings in this article. Nonetheless, it has its place for a reason, that reason being its visual-based interface which makes app development easier than ever, especially for newer users. 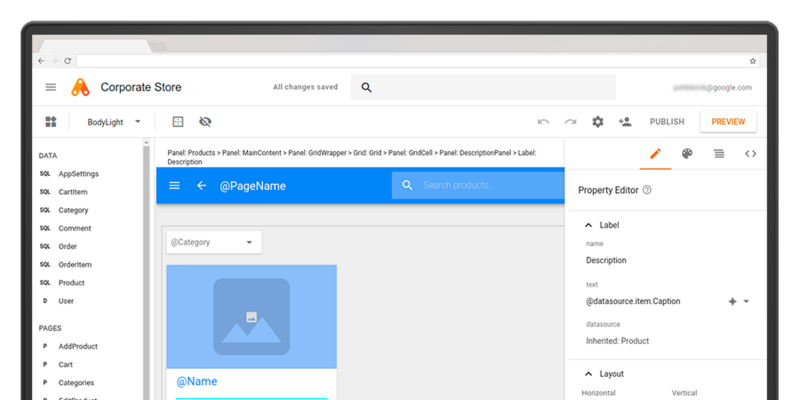 Best fit for: Heavy G Suite users, those wanting to rapidly develop simple MVP apps. Price: $10 per user (lowest price). Standout feature: Visual-based design environment. 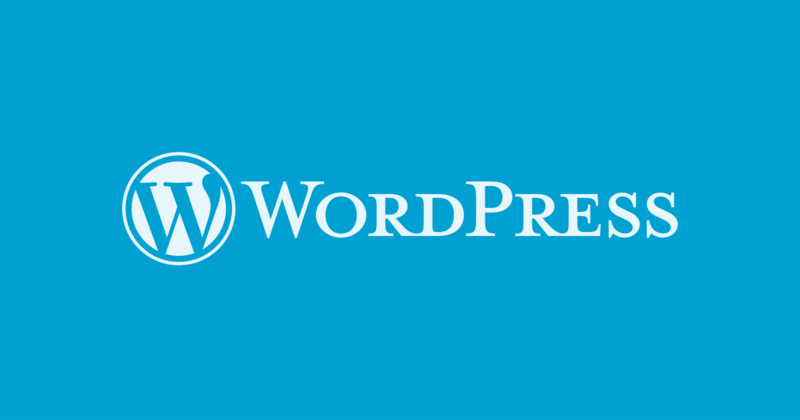 WordPress is the largest website building framework in the world. Some of the most popular uses for the service include creating blogs and marketing websites. In fact, our website runs on WordPress! WordPress heavily utilizes installable templates and themes to jump-start your website, with zero need for software specialization. While you can open up the hood, so to speak, and get stuck in with code for format and function of your website, almost everything is achievable with the simple and intuitive interface. One of the most important features of WordPress would have to be its extensive array of plugins available as easily installable modules for your website. You can find plugins for almost anything, and alongside integration (yes, WordPress integrates with Zapier) you have a formidable tool in your business solutions toolbelt. Best fit for: Anyone who wants to quickly and easily build a straightforward, high-quality website. Siberian CMS is a relatively unique offering in that it is an open-source mobile app development platform. Similar to WordPress in how it offers a large variety of premade templates and themes (skins), Siberian is a free-to-use framework with extra functionality available to buy from their marketplace should you need it. You can set up all kinds of different functions with their simple app building interface, able to mix-and-match templates and extensions from the marketplace to create anything from a simple Shopify clone to a technically complex courier service app, like Uber Eats or Postmates. Siberian CMS is a great solution for rapidly building and deploying MVP apps for testing the waters and figuring out what works. Price: Free, but about $100 will grab you an impressive functionality. 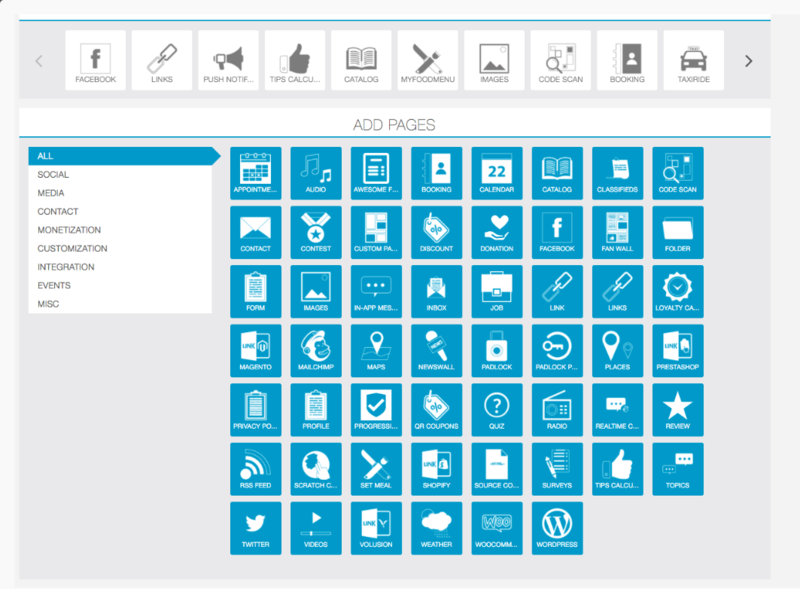 Standout feature: Impressive marketplace of feature modules. With the definition given above, Stephen Forte demonstrates that an MVP need not even be a product. Arguably, in this sense an MVP is as much a measure of market fitness as it is a state of your product. In any case, the low-code principle can be applied to rapidly building and deploying MVPs to market. Once you’ve got an MVP on the ground, you can test and improve the solution, allowing you to secure funding for additional growth. All of the low-code development platforms listed above are capable of rapidly building and deploying MVPs. If you’re curious about learning more about different ways to develop your MVP, check out our article on MVP apps. You can use low-code development platforms like Process Street to quickly and easily build integrated business systems. 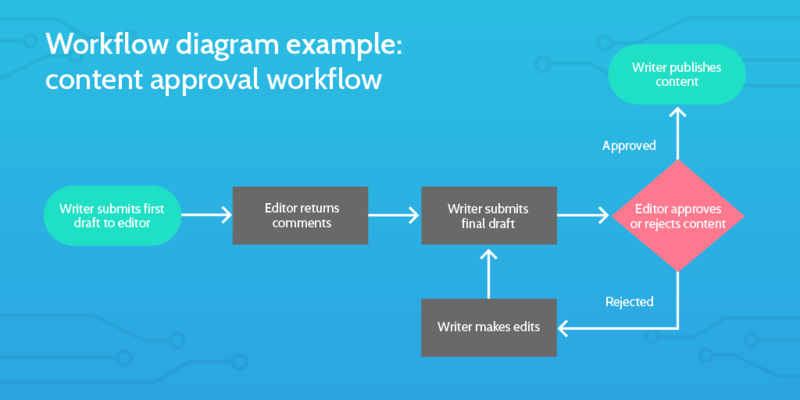 For example, we use Process Street internally to manage our content creation workflow. It essentially becomes a “content creation business app” for this specific use case, which we’re able to custom-build a highly efficient, standardized procedure for. The software tools that we use to run this system are Process Street, Slack, and Airtable. Individually, everyone on the team uses these tools daily for various different tasks; the content creation workflow is just one example of how we use integration to pull these disparate systems together to work as one single unified workflow, where Process Street acts as the core coordinator of all of these different integrations. Basically, a Zapier integration takes the information entered into Slack in step one and pushes it into Airtable. After the monthly sprint planning session, a writer is assigned a task in Airtable, which contains an automatically generated link to a Process Street checklist for a blog post production process. The writer will complete the checklist up to a certain point alongside their article, including specific task assignments for the separate image creation process. Then, the editor will take over the checklist (again thanks to task assignments) and finish the process by publishing the article. Completing this checklist will send relevant information back into Airtable, and a new checklist is automatically generated and assigned for the content promotion process. This is an example of using low-code for business process automation, but really it’s only the tip of the iceberg. You can use low-code platforms to rapidly build automation into your business workflows, test out different solutions, and find the most cost-effective solutions for you. If you’re curious about learning more about the different ways of implementing and achieving business process automation with Process Street, check out our ebook, The Ultimate Guide to Business Process Automation. With the power of automation via integrations combined with a low-code approach to development, you can maximize efficiency across all areas of your business. So what are you waiting for? Create your Process Street account today and find out how much more work you and your team could finish with all of that extra time and resources you’d be saving. Do you think low-code platforms will continue to eclipse conventional software development, or is there a limit to how far this approach can go? We’d love to hear your thoughts. Let us know in the comments below!